Welcome to one of the most popular models at Encanterra. This stunning energy efficient "Captivate model" home is pristine - like new & ready for your personal touches. The up-graded kitchen features a huge kitchen island w/gas cook top, upgraded cabinets & stainless steel appliances. The master bath & guest bath are beautifully tiled & appointed w/ all the right upgrades. The office niche lets you work while staying in touch with activities in kitchen & great room. The "Smart Room" lets you enjoy a quiet work area w/built-in cabinets & desk. Water softener & R O systems, epoxy garage floors & utility sink included. 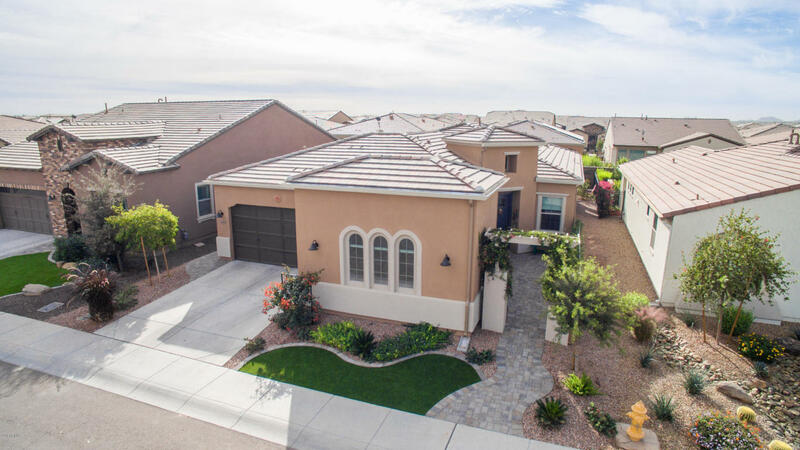 This home features low maintenance desert landscape designed to increase your free time to enjoy the many activities & features offered at Encanterra. This is a must see!